Your quilt is a work of art, and the quilting is the final step in bringing it to life. As an experienced yet ever-learning longarm quilter, I work with you to select the best design and thread to compliment your quilt. Rest assured your quilt will be treated with care and finished promptly in the comfort of my smoke- and pet-free studio. 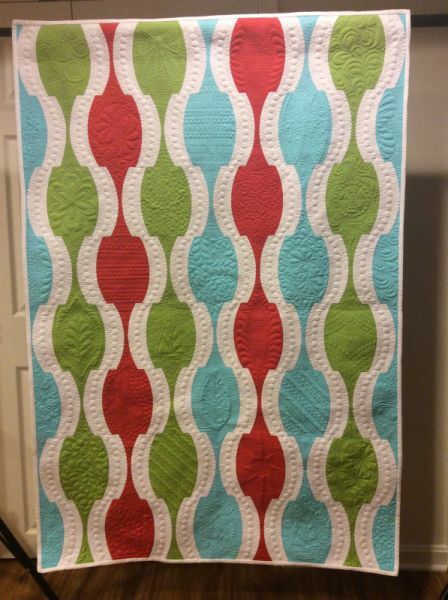 I specialize in quick turnaround on Longarm Quilting projects. My turnaround is 1-2 weeks. Call or email for more info. Please check out my "Videos" page for new techniques.